Each year, Charleston Wine + Food gives festival-goers a taste of what’s of the moment in food and bev, both on the local and global scale. But this year, one special event honors the past, paying homage to the woman who brought classic Southern cooking to the national stage. 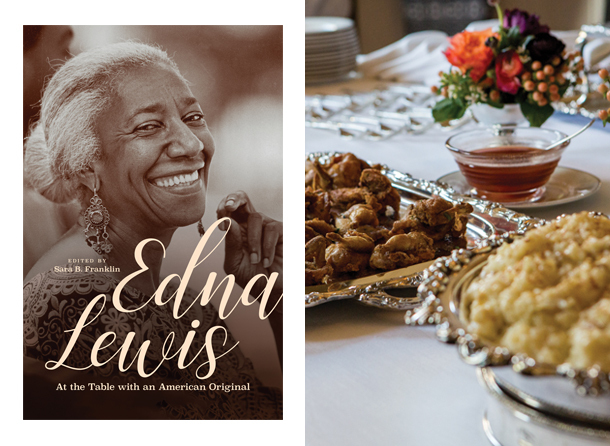 At “The Edna Effect,” taking place next Thursday at Alhambra Hall in Mount Pleasant’s Old Village, six chefs are serving up dishes inspired by the cooking of African-American chef and cookbook author Edna Lewis. Born the granddaughter of freed slaves in 1916 in rural Freetown, Virginia, Lewis learned how to cook with goods from the land: wild spring greens boiled in pork stock and served with dumplings, pickled melons from her father’s farm, turtle soup made after a thunderstorm washed the reptiles onto the riverbanks. Lewis’s influence has touched many a Lowcountry chef, including Frank Lee, April Robinson, and Savannah’s Mashama Bailey, all of whom will be cooking at the event along with Vivian Howard, JJ Johnson, Toni Tipton-Martin, Duane Nutter, Jessica Harris, and Andrea Upchurch. To snag a ticket to the event, click here. To read more from our February issue, click here.